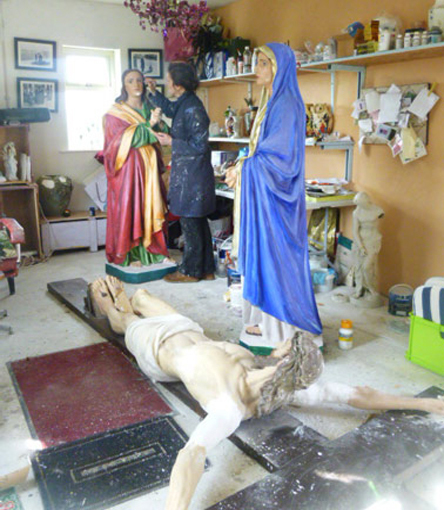 Church Statue and China Restoration Dublin Ireland China Repairs Dublin Susie Conway Interior Design in Kerry Cork Limerick Munster Ireland China and Church Statue Restorations. 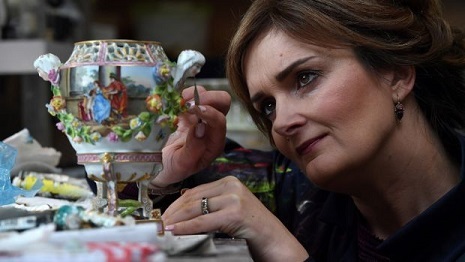 Having trained and worked with the renowned Desiree Shortt China Restoration Studies of North great Georges street, Dublin, as a china and porcelain restorer. Susie has also studied with the regency of fine Arts London. Susie Conway is a qualified Interior designer having studied with Limperts Academy of Design. 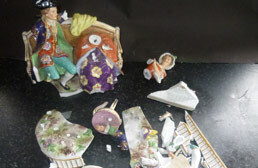 I offer free estimates in person or by e-mail, please include the height and width of the damaged piece included. A firm quote may be difficult to obtain before the item has been examined in person but the rough estimate will decide if you wish to proceed. There is practically no damage to a collectable that I will not attempt to restore. 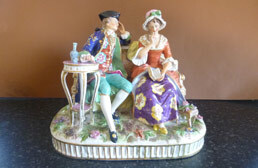 Missing parts can be made up and I pride myself in colour matching of the original paint work of the piece. I can repair broken statues including missing fingers, feet, arms, broken off heads, chipped services, and weathered surface. I try to restore indoor and outdoor statues to their original colour or these common to a particular saint. I execute gold resurfacing using gold leaf. As Featured in the Irish Times on Saturday 11th June, 2017. There’s only one thing worse than smashing an invaluable family heirloom into smithereens and that’s the bungled effort to put it back together with superglue “which I’ve seen so many times over the years”, says restorer Susie Conway. 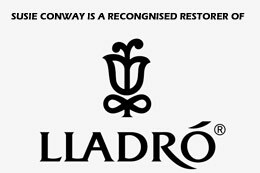 Conway is one of the few dedicated china, ceramic and statue restorers still practising in Ireland today in her Kerry studio. A complete service of china and statue restoration offered. Don't despair if you have missing pieces as I can remodel new ones. I pride myself on paint match up and aspire to making your piece look like it has ever had any damage done to it in the first place. I am a china and Statue restorer, by useing the most up to date technology. You can get a quotation by either emailing me a picture of your damaged piece or I can meet you in person. I have restored valuable antiques to family precious heirlooms.